WASHINGTON—Alerting residents of the city to take all necessary precautions ahead of the storm surge, officials from the National Weather Service warned Tuesday that Denver was in the direct path of 2037 Hurricane Alba. “According to our 20-year projections, Hurricane Alba will make its way up through the Gulf and proceed on a collision course with Denver,” said NWS director Louis W. Uccellini, explaining that warm ocean water would strengthen the storm continuously until it reached the coast of Colorado, eventually becoming a Category 6 hurricane by the time it made landfall. 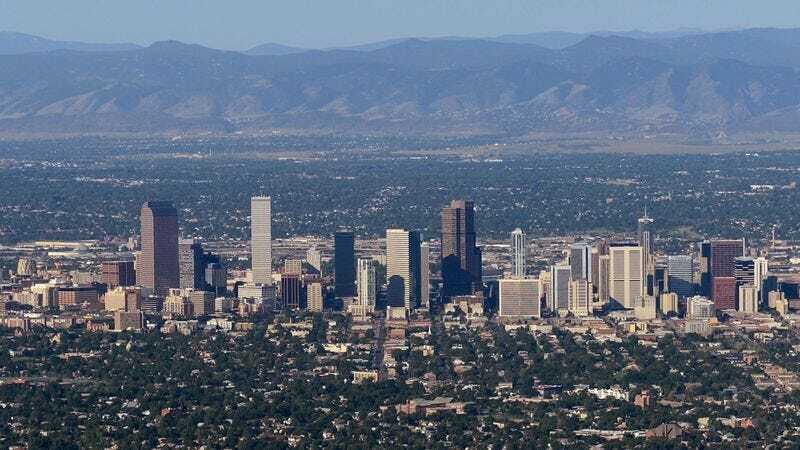 “Safety is our main concern, and our models predict that Alba could be more powerful than any hurricane Denver residents will have experienced over the previous decade. These storms can also change direction abruptly, so we urge anyone in potentially vulnerable cities such as Cheyenne and Salt Lake City to remain vigilant.” At press time, Denver residents were encouraged to take shelter high in the Rocky Mountains to increase their chances of staying above flood zones.